Includes all costume and bonus mission downloadable content. 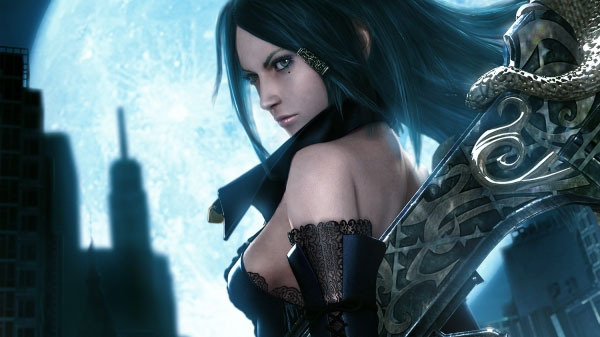 Bullet Witch, a Japanese dark-fantasy and Western-style military action game developed by Cavia and first released for Xbox 360 in 2006, is coming to PC via Steam and the Humble Store on April 25 with a 10 percent launch week discount from its regular selling price of $14.99 / €14.99 / £12.99, publisher XSEED Games announced. First released on the Xbox 360 in 2006, Bullet Witch offered a unique combination of Japanese dark-fantasy aesthetics and Western-style military action. Now, 12 years later, this PC re-release brings the title to a new generation of gamers, improving the resolution, framerate, lighting, and game balance. This Is My Broomstick – Alicia’s gunrod can transform on the fly into four different weapons, each of which can be enchanted for extra punch and special perks. Mow down enemies to charge your magic meter, then can call down thunderbolts, tornadoes, and even meteors to blast the rest of them to kingdom come. Few gaming heroines have ever wielded as much raw power as Alicia at her peak. The Path of Destruction – Nothing is safe from your wrath, least of all the environment around you. Your magic can tear the roofs off of buildings, ignite an entire gas station, or level towers. If any enemies survive, use your telekinesis on the rubble to throw it at them and crush them flat. You Are Not Alone – Your strength and bravery will inspire the battle-hardened resistance fighters around you, and soon enough, they’ll fight by your side. Use your magic to keep them alive, and they just might return the favor. Watch a PC version gameplay video and XSEED Games’ 2018 lineup teaser trailer below. View a set of screenshots at the gallery.